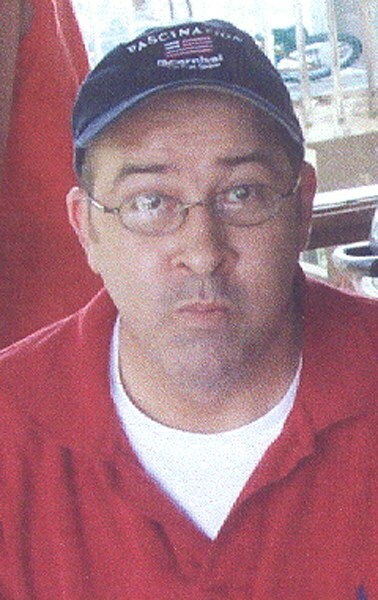 Brian Scott Campbell, 40, of Johnson City, died Sunday, March 13, 2011 at his residence. He was a native of Johnson City, son of Larry Campbell and the late Brenda Weaver Campbell. Brian was a cook and had worked for many years at Perkins Restaurant. He was a member of the First Free Will Baptist Church. In addition to his mother, he was preceded in death by his paternal grandparents Charlie and Blanche Campbell and his maternal grandmother, Frances Weaver. Survivors include: his father Larry Campbell of Johnson City; two brothers David Campbell, his wife Lisa and their two children, Rebekah and Thomas, Wes Campbell, his wife Carrie and their son Jaryd all of Johnson City; an uncle and aunt, Charlie and Betty Campbell of Johnson City; very special friends, Robby and Claudia Vanover and their son Jason also of Johnson City. A memorial service will be conducted on Tuesday, March 15, 2011 at 8:00 p.m. at the Way of the Cross Baptist Church, under the direction of Rev. Jack Dykes and Rev. Jack Maupin. The family will receive friends from 6:00 p.m. until time of service at 8:00 p.m. The Lord is my rock, and my fortress, and my deliverer; my God, my strength, in whom I take refuge; my shield, and the horn of my salvation, and my high tower.-Psalm 18:2 My prayers our with you during the difficult. God Bless you. Brian was my friend who helped me in many ways. I have many great memories of him at my house helping me with all my projects. He was always willing and ready to help “Betty Boop”. I can look around my house and see him here with me and he knew he was loved. I am so sorry for your loss. I met Brian when I was in high school. He was a wonderful guy. I will keep your family and friends in my thoughts and prayers. May GOD be with you in this time of loss. My prayers and thoughts are coming to you each day. I just learned about Brian’s passing. He was a very kind person and he will be greatly missed by those who loved him. Bright blessings to his family and friends!